Last season’s main punt returner has been cut. The Bengals have released Keiwan Ratliff Wednesday and have signed former Buccaneer Blue Adams. Ratliff was a second-round pick in 2004 and is the highest draft pick to be cut in the Marvin Lewis era. Adams is expected to mostly see time on special teams. The Bengals are preparing for their matchup with the Patriots at home Monday night. Kickoff is slated for 8:30 p.m. 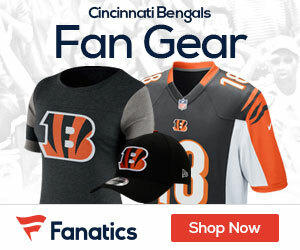 Subscribe to Bengals Gab via RSS Feed or E-mail and receive daily news updates from us!